In Church Web Hosting, there’s one thing nobody thinks they need… until they desperately need it. 99.9% of the time making regular backups of your website is meaningless. There’s the church whose website got hacked after the web administrator picked up some keystroke-tracking malware on his computer. There’s the church that had a disgruntled website administrator who deleted the church’s entire website before leaving the church. There’s the church whose web administrator thought they knew what they were doing but accidentally deleted a bunch of important pages from the site. These are not hypothetical situations. These things actually happened to OurChurch.com clients. Fortunately, because we provide automatic backups every night, we were able to restore all of these church websites within a few hours. Daily – A backup should be made every day. Kept for a month – Sometimes you may not notice something that’s broken or missing from your website for a week or two. You want a backup service where you can go back restore data that may have been lost up to a month ago. Off-site – Some web hosting companies will back up your website, but they put the back up in your web hosting account. If your hosting account gets hacked or corrupted or God forbid there’s a natural disaster that impacts the data center, you’ll lose the backup along with your website. The best solution is to have your web hosting account backed up to a data center at another location. RAID is another backup solution some web hosting companies offer. RAID stands for Redundant Array of Independent Disks. A RAID backup system includes two identical hard disk drives. When data is saved, it’s saved to both drives. In the event the primary hard drive crashes, the secondary drive takes over. If a web hosting company offers daily off-site backups but has no RAID backup system, if a hard drive crashes they can restore sites from backup but it usually takes many hours and even days to do so leaving your website offline during this time. Therefore we recommend choosing a web hosting company that has RAID systems in place or a cloud system with hard drive redundancies built in. Backup systems are one of the areas some web hosting companies skimp on in order to cut costs and offer their customers a lower price. They will tell you, you should backup your website to your own computer regularly. If you invest $1,000-$3,000 in a custom church website design, it certainly doesn’t make any sense to try to save a few dollars a month on a church web hosting service that doesn’t include good backup solutions. If you invest less money in your site by building it yourself in a church web hosting account, it’s still not worth the time of having to manually backup your website every day, or risk having to rebuild your site from scratch. This is why all of OCC’s web hosting accounts include both daily, off-site backups and RAID. 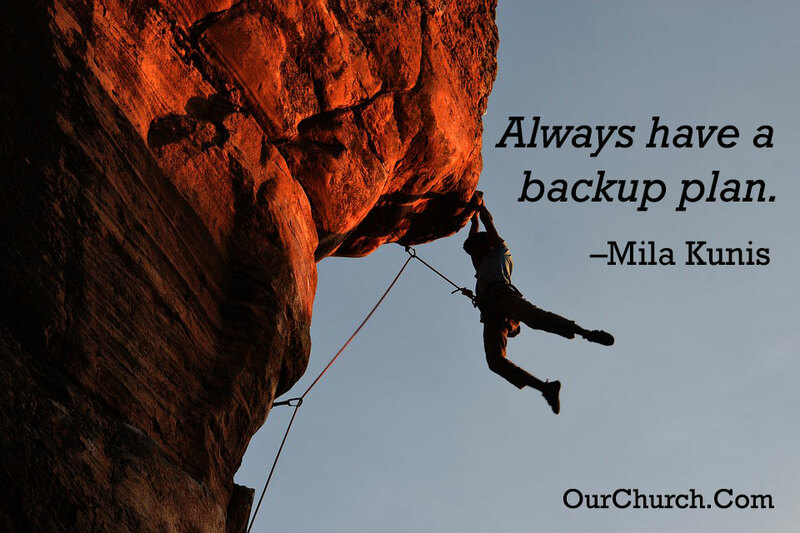 What questions do you have about church web hosting backup services? What backup services are included in your church web hosting service?